The influence sports have on their surrounding communities is extremely significant. We partner with corporations to plan many events such as youth baseball academies, athlete appearances at charity events and wheelchair sporting events. 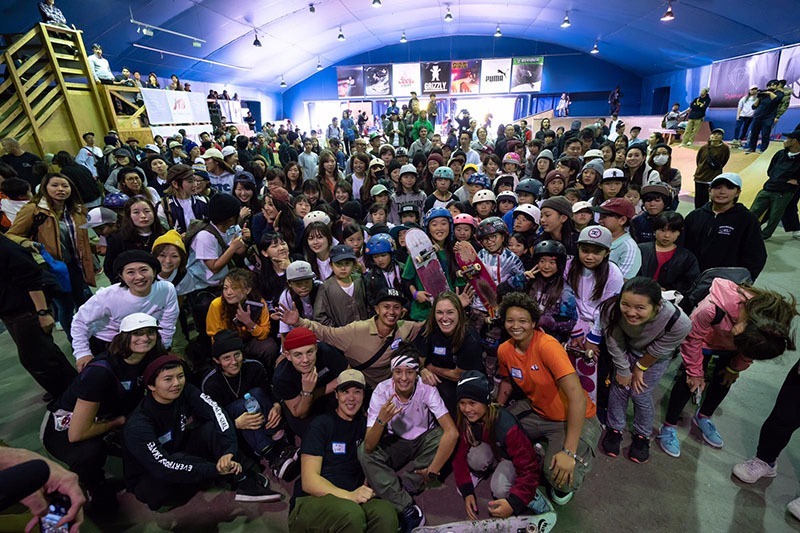 On December 1, 2018, in partnership with the Women’s Skateboarding Alliance we hosted the first-ever international skateboarding event in Tokyo called The Skate Exchange powered by JTB. It was a huge success gathering 1,000 fans from countries around the world including the US, Japan, China, Korea, Philippines and Thailand. Additionally, the Skate Exchange promoted skateboarding in Tokyo, the next Olympic host city while showcasing the roots of the sport which are creativity, self-expression and friendship. We are actively planning to build on the events great success with an even better Skate Exchange in the near future!